We coach and consult entrepreneurs on building a profitable, sustainable business. Our preferred clients are driven, dynamic individuals with an insatiable passion for success. The framework and methodology derived from our extensive research have proven to be effective. We believe in improving your measurables and rendering quantified success. 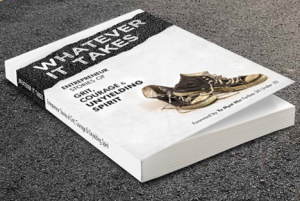 With over 1,500 copies sold during preorder, Whatever It Takes is meticulously compiled and specially written for the hustler, the go-getter, the trailblazer, the outlier. Jacky is one of the most consistent and professional coaches I have met. Without any doubt, every coaching with him helped me to walk me out of my own fog. Tapping onto Jacky’s experience and expertise, my sales increased threefold! I engaged Jacky’s coaching when I was at the crossroads. He was able to see where I was at and provide me with a road map of where to go from there. He still offers encouragement till today. 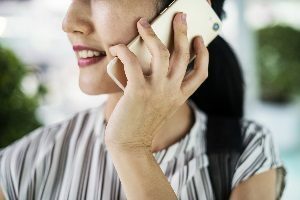 I have received many valuable advice, and one of such was on how to handle customer objections by asking valid questions so as to find the right solutions for a win-win deal. Knowing the difference between levels of commitment of sales helped me realized that sales is a trade that requires professionalism. I learned how to serve in the best interest of my clients, and closed the biggest deal for my business. 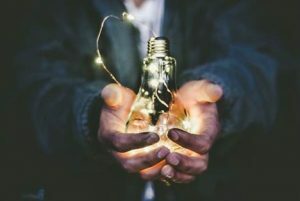 Jacky’s no nonsense approach delves deep into the systemic problems regarding sales and lead generation, and provided useful tools to tackle such challenges. His generosity in sharing past experiences was a source of inspiration that motivated me to push myself that much harder. 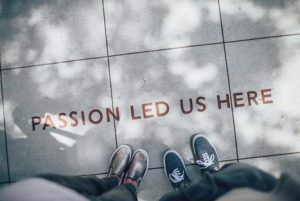 To turn your passion or expertise into a profitable business, you need to develop a strong foundation in real-world application. The bulk of entrepreneurs failed within 3 years because they lack business acumen. 80% of businesses struggle because they lack the ability to generate predictable and consistent revenue. Your ability to get sales and build a sales team is relative to your sales savviness. Besides having the clarity to make sound decisions, discipline and intrinsic motivation are areas of personal mastery you need to develop, among many others. Jacky gave very practical advice and raised some considerations that sets me on the right track for my startup. Sincere and helpful, trust him to go the extra mile. I have always thought that there was nothing new that I can absorb in my quest to become a better leader, but Jacky’s approaches have debunked this myth of mine. He has broadened the width of my thoughts and deepened my appreciation on the constant need for self improvement. His coaching during my initial years as an entrepreneur contributed tremendously to my growth and the result I have today running my business. Never wish your job is easier, only wish you are better. Jacky’s has definitely helped me to be better in sales. Not only are the concepts easy to understand, they can be applied and implemented immediately.